I have been making our own all around organic home cleaner ever since my son was born. That’s more than 7 years now. 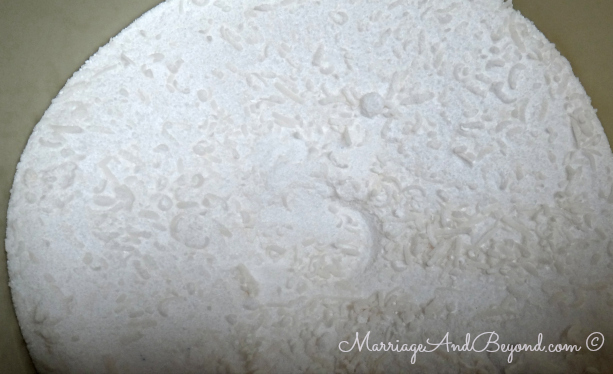 My homemade laundry detergent, I only finally got down to doing it last year. My first challenge was to find a place where I can buy the ingredients that are not easily available in the supermarket. Because I had a father for a Chemical Engineer, he gave me a list of places where I can buy the ingredients that I need. 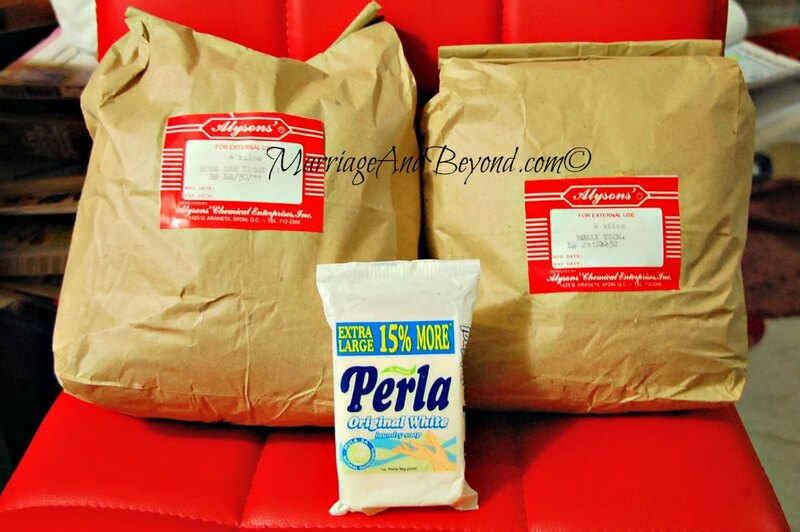 When I finally found Alysons’, I bought 4 kilos for both Borax and Washing Soda right on. A year since I first bought them, I still have half a kilo of Washing Soda. I already ran out of Borax. From what I have observed, Borax is more compact than the Washing Soda, which explains the faster consumption of the two ingredients. Even if I use the same amount every time. As for the bar, since Perla is the more available of the options, it is what I have always used. That’s about it! 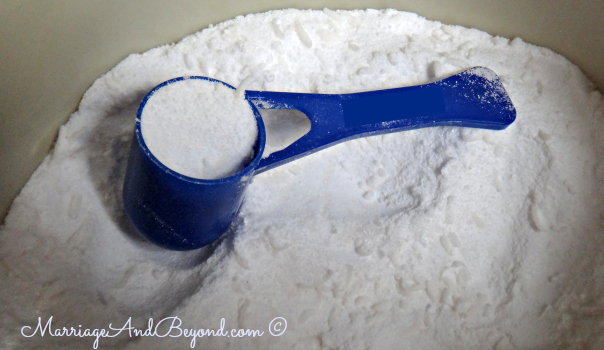 Anyone can make their own homemade laundry detergent, really! I was surprised when I learned that an Aunt in the States makes her own laundry detergent too. Only, she does it differently. She mixes her laundry bar with water and cooks it. When it cools down, that’s when she adds the borax and the washing soda. For those who would rather use the liquid type of laundry detergent, that’s another step you can do. But when my Aunt learned that I do it the easier way, she said it was a good idea and she’ll do it my way to her next batch of laundry detergent. I use 2 scoops per load. I have a 7kg washer. For extra dirty rugs and laundry, I add another scoop. I will have this post updated with the breakdown of savings. Since this post is a year late, I lost the receipt of the Borax and Washing Soda. But from what I remember, I only paid a little over P300 for both. The savings might not buy you a carrera tag heuer, sure. But it will still be huge if you add up how much one household would normally pay for to buy commercially made laundry detergents month in and month out. The ingredients lasted me more than a year. Considering the laundry detergents sponsors send from time to time, hundreds of pesos savings for me still. If I add up P6/bar (give or take) for every recipe I make, I’m still saving a great deal. For every batch, I just triple or quadruple the recipe so that I do not need to make every so often. I normally fill up a gallon of ice cream tub in one batch. 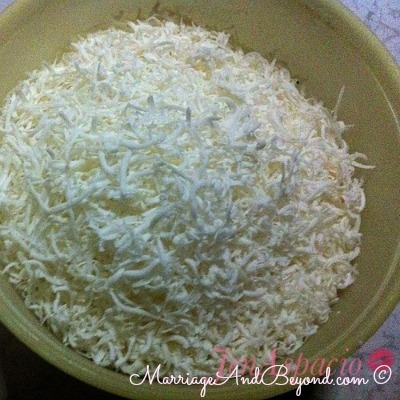 If you are to try this, do not be surprised if your recipe refuse to sud up like commercial detergents would. I made the mistake of adding two scoops or three, the first time. We have been made to believe that those bubbles equal to effective cleaning process. When in fact, what makes them bubble is an added unnecessary ingredient, Sodium lauryl Sulfate (SLS). The Borax will take care of the stain removal your clothes need, washing soda removes the odor and the bar soap gets rid of the grease. where TO BY THESE INGREDIENTS? How much was the borax in 1 kilo and the washing soda in 1kilo? really need your help miss. Where to buy borax and washing soda in the philippines?